This enchanting butterfly necklace captures the beauty of the delicate creature. Simply enchanting, this sparkling necklace celebrates the beauty and grace of the butterfly to perfection. Featuring an abundance of clear and AB Austrian crystal encrusted butterflies outlining the chain and clustering in a Y design, this dramatic necklace combines a dainty style and exquisitely captures the delicateness of this pretty creature. A beautiful wedding necklace for brides with a butterfly wedding theme. Wear alone to keep the emphasis on this divine necklace or coordinate with matching Butterfliesof Beauty Earrings for a sensational look. Emphasise the enchanting style with butterflyssor wedding hair acceies and bestow your style with graceful elegance. 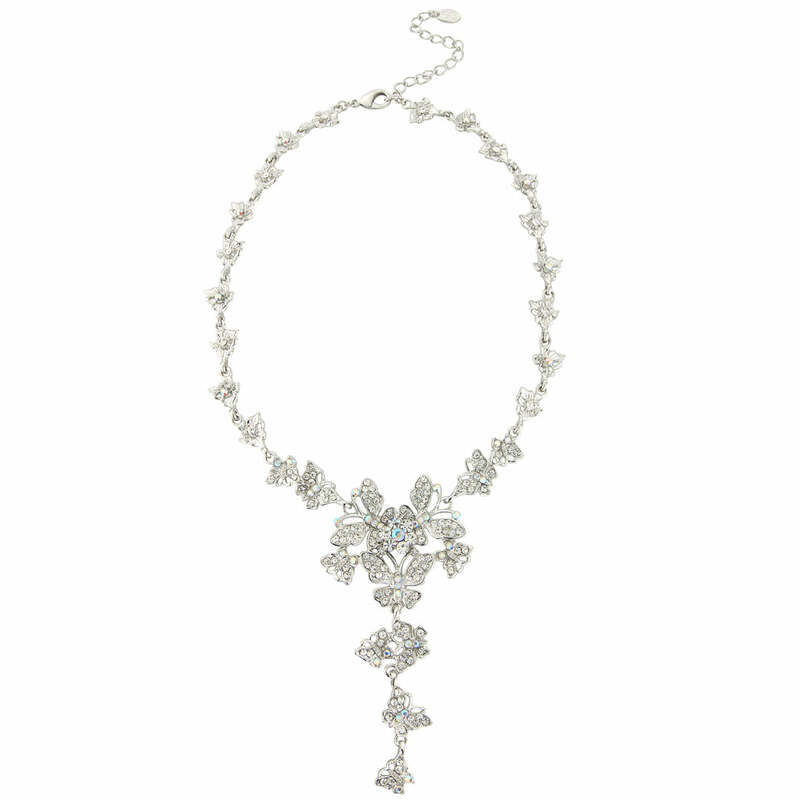 Bought this beautiful necklace and matching earrings and side tiara for my wedding in June and they are all stunning, cant wait to wear them, just a pity they haven't got a matching bracelet, then I'd be complete! !